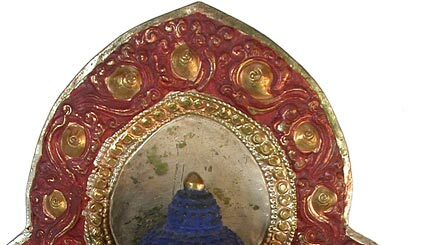 Bhaisajyaguru, the Medicine Master Lapis Lazuli Light. 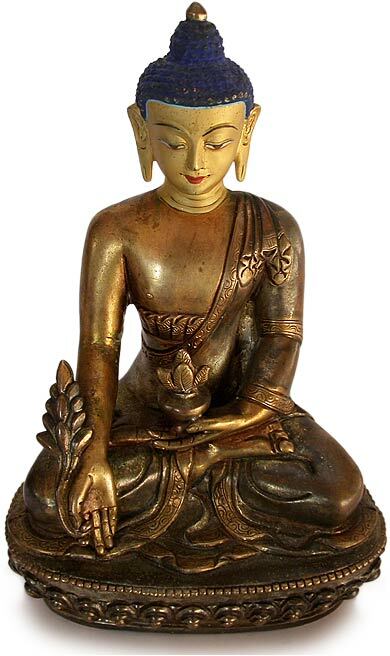 The Buddha who transforms attachment, hatred, ignorance and pride, the root of all illness and suffering. He is the spiritual force that encompasses a wide and holistic view of health. 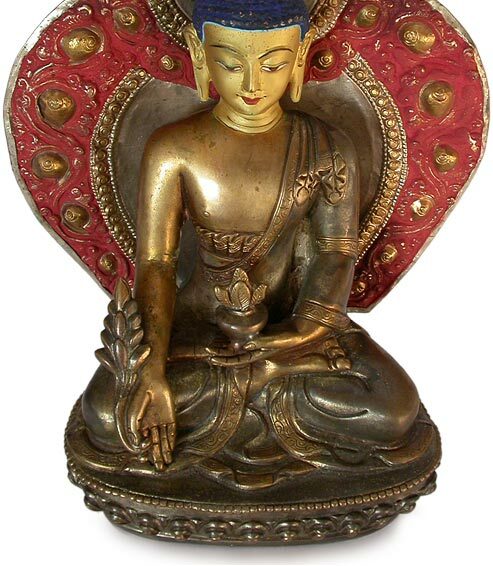 True to the Bodhisattva consciousness as we heal ourselves, the world and those around us are also transformed. 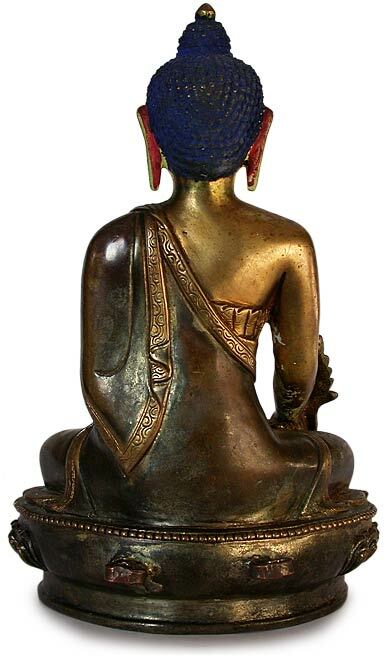 This 19th century Tibetan bronze is an exceptional find. 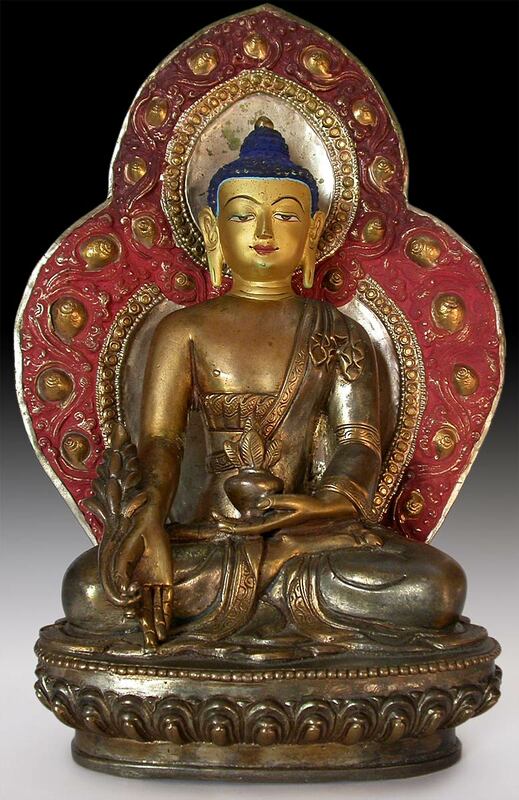 The traditional depiction shows the Medicine Buddha in the monk’s robes, seated on a lotus seat, gilded in silver and gold, hair painted in blue, nimbus in silver and red, and face in cold gold. 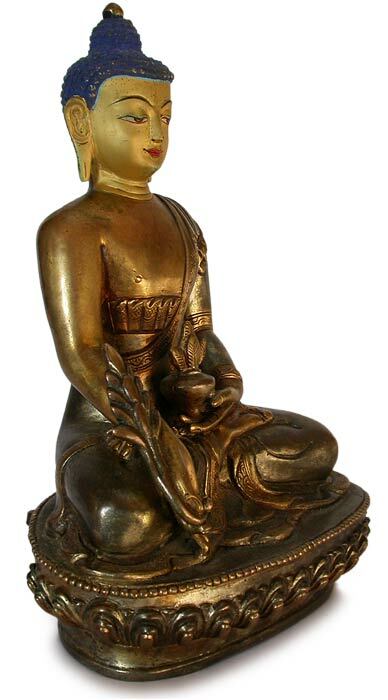 He is holding a medicine bowl filled with the healing elixir, in his right hand the myrobalan plant. 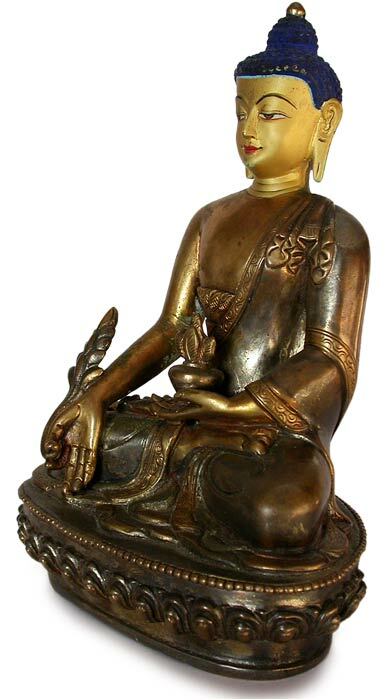 The countenance of this Buddha reveals an equipoise in lucid contentment and magnificent spiritual energy.